Support Seattle Hempfest & Have A Great Time! 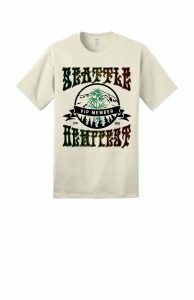 Support Seattle HEMPFEST®Become a Member! 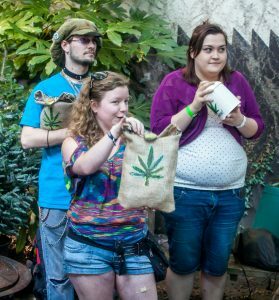 In addition to pride in advancing the cause of legalization by helping produce its largest forum, Seattle Hempfest, our Member’s are awarded with tons of benefits! You can cut the line at our entrance & attend events year round for free! Our VIPs even get back stage access during Seattle Hempfest as well as our world famous Friday night VIP Party on site once Hempfest closes to the public. Only in town for Hempfest? Weekend VIP Memberships are available too! Mingle with like minded folks at our Member’s parties which take place every 3 – 4 months. Get informed about the reform movement, current legislation, political prisoners of prohibition, and how you can be an activist! 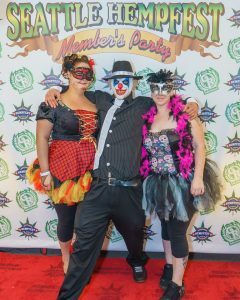 Winterfest, 420Fest, Summer Party, VIP Party, Toker’s Bowl Halloween Party, all brought to you by Seattle Hempfest. You can enjoy pictures of prior Membership Events in our Gallery. 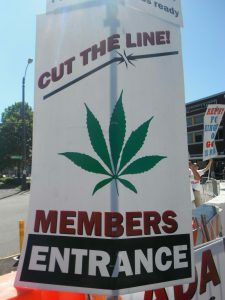 Cut the line through our Member Entrance Access – Supporters, Members, and VIPs get to use our Member entrance at Seattle HEMPFST®. Cut the long lines (and the donation bins!) and walk directly into the HEMPFST® rally like the VIP you are! Our staff will greet you with your free collectible event program. Bring an entourage! At the Member & VIP levels, you can also bring 1 to 3 guests through the Member entrance. No more waiting in line for you and your posse! NOTE: THIS DOES NOT INCLUDE THE VIP PARTY! Your guests will need to purchase a Weekend VIP Membership to attend the party. Join the official after-party with the celebrities! By invitation only for our VIPs, on the Friday night of Hempfest, our Speaker’s Social is the one and only official Seattle HEMPFST® after-party, a unique chance to mingle and network with the movers and shakers of our movement: event directors, our top speakers, artists, sponsors, and VIPs. Quite the High Society! Your name in the Event Program – Our VIPs are also recognized by name in our donor’s list in the Event Program, as well as on our website all year round. VIP Backstage Tour – VIPs also get to hang out backstage Main Stage for another chance to see our artists, speakers and event producers behind the scenes during the event! Free entrance to our many Members events (21 and over) throughout the year at various venues in the Seattle area, where you can socialize with other members & VIPs of our movement, and enjoy free food, DJ’s, and bands year-round! Invite a guest – Members & VIPs can also bring 1 guest for free to all of our year-round events! Newsletters – Stay on top of the latest updates from the Hempfest posse and the legalization movement, by receiving updates directly in your inbox. Social network – Network with fellow members of our movement, and access news, blogs, video content on our web site and social network pages. 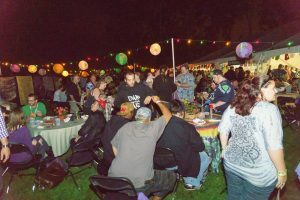 Member/VIP Raffles – Purchase entry in our Member – Cannabis POW Support Raffles, for a chance to win awesome prizes, including hemp products, vaporizers, collector posters & shirts, and rare HEMPFST® event memorabilia while supporting Jimmy Romans and his fight to end his once LIFE sentence for cannabis. Stay Connected and party all year!